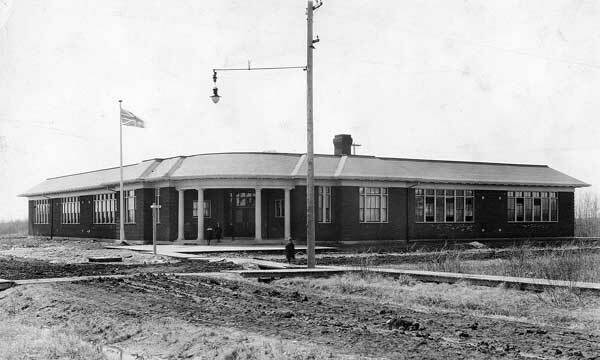 Built by day labourers at the corner of Oak Street and Kingsway, in 1919, the school was known briefly as Oak Street School before being renamed River Heights School. It became Robert H. Smith School in 1929, commemorating Winnipeg School Board official R. H. Smith. The building was demolished in 1992. “Winnipeg schools, No. 37—River Heights,” Manitoba Free Press, 28 November 1922, page 9.